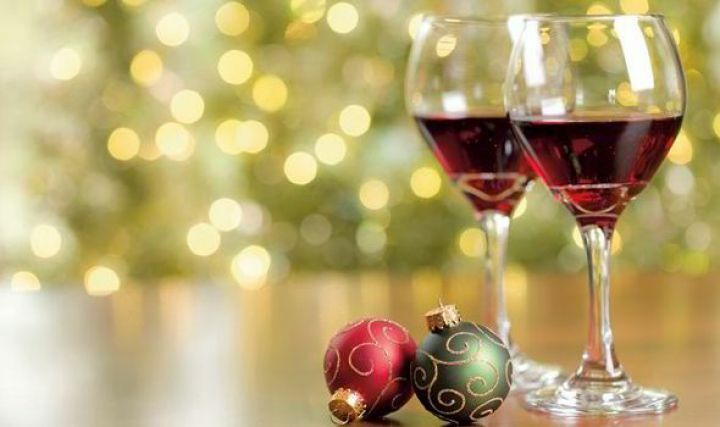 Many people get in a tizz about which wines to serve over the holiday season, and the huge choice on offer can seem mind-boggling, especially if you are buying by the case for parties and family get-togethers, and don’t want to get it wrong. Fear not, if you want a wine that is hearty, warming, fruity, and alcoholic (!) you can safely narrow your choice down to the south of France. The Côtes du Rhône and the Languedoc specialise in wines that the French would describe as ‘costaud’ which loosely translates as ‘beefy’ or ‘powerful’ and can equally be used to described men – a Rugby player might well be described as ‘costaud’! The signature grapes of the region are Grenache and Syrah (Shiraz) often with a touch of Mourvedre. Of course if French wines are prohibitively expensive where you are, wines made from these grapes will have similar qualities, but make sure that they come from hot areas, as it is the sun that results in the high sugar content and hence the high alcohol content! A perfect accompaniment to roast beef or lamb, these reds are also great with strong cheeses and also make great quaffing party wine! The doyenne of the southern Rhône reds is the famous Châteauneuf-du-Pâpe, which in addition to its Syrah Grenache foundation can include up to 11 additional varieties. When choosing Châteauneuf-du-Pâpe, there can be considerable variation between wineries, so it is best to stick to one of the prestige brands, like Beaucastel or Vieux Télégraphe, or if your budget is slightly less rarified, Château Mont-Redon which we visit for a delightful tasting on our Provence Roman Heritage cycling tour. If your budget is a little more modest, steer clear of the cheaper Châteauneuf and go for a Côte du Rhône Villages appellation. Cairanne, Gigondas, Lirac are all names to watch out for, being villages close to Châteauneuf but not commanding the price premium. Further west the Languedoc region has even more reasonably priced wines – Saint-Chinian, Faugères, Corbières are typical of the region, although as you travel further west into the Corbières you will find Carignan grapes coming into the mix which add a more tannic edge if that is your preference. Both our Languedoc and Mediterranean bike tours have plenty of vineyard visits and tasting opportunities if you want to do some in depth research! If you are looking for wine for mulling, you will probably be better off with the cheapest local red you can find, as heating a wine with sugar, spice and fruit will mask the qualities (and lack thereof!) of any bottle! However if you are lucky enough to live in France or in the UK close enough to pop across the channel, you will find basic generic Côtes du Rhône at around 3.50€ a bottle – so mull away!